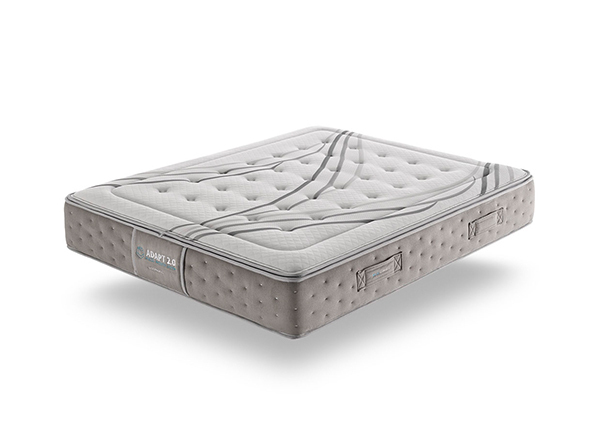 Nucol® System is formed by high-quality memory foam pieces in different firmness, spread over mattress to fit the body’s shape. Besides, each Nucol® has ventilation lines enabling airflow. This provides freshness, breathability and avoids accumulation of heat. In short, Nucol® System is an innovative support, different and perfect for the most demanding. 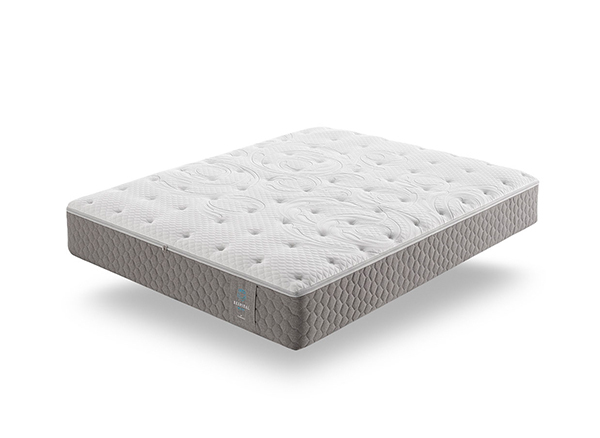 This technology combines firmness and breathability thanks to its shape, and adaptability, softness and comfort of memory foam. Improvement of your sleep quality and your health. 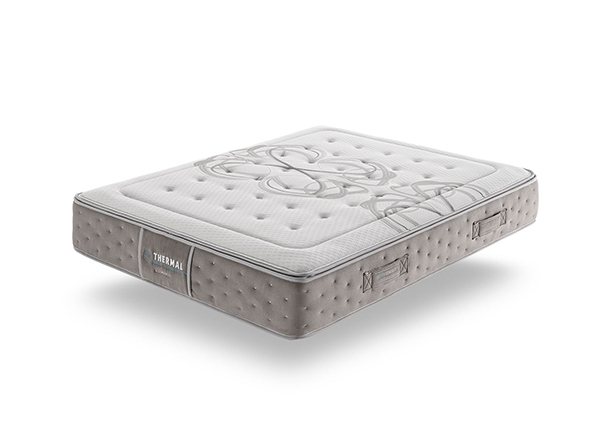 The Nucol® System has been tested by the prestigious Estivill Dream Clinic, specialist in Clinical Neurophysiology and Sleep Medicine. 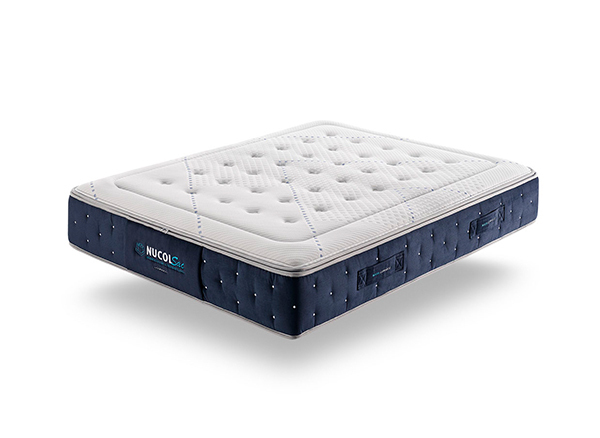 The Sleep Clinic has carried out a study that shows all the advantages that the Nucol® System brings to health, both physically and in the field of sleep. Nucol® System relieves pressure points to improve blood circulation. It is beneficial to health because avoids numbnness, back and neck pains. These health problems, the pressure and the stress cause insomnia and the Nucol® System helps you to combat it. 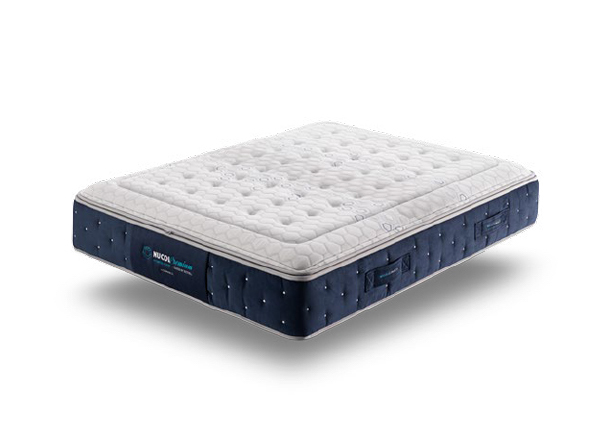 Your mattress, your comfort zone. 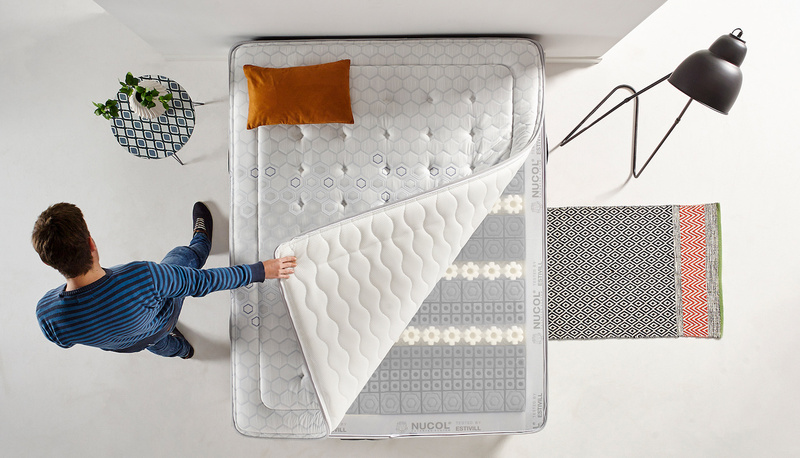 The integrated massage system is located inside the mattress, under the Nucol® System in order to obtain an extra comfort. It is easy to control by remote control. 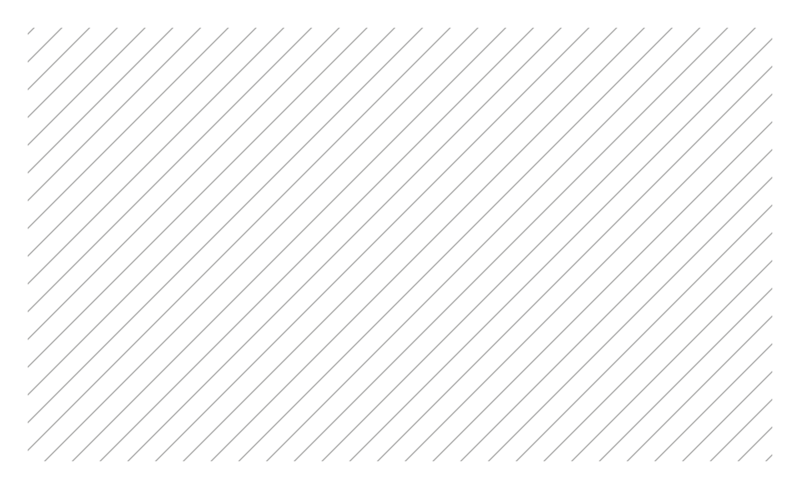 Massaging discs are distributed in 6 lines (12 points), strategically placed, so that you can choose the vibration per zones.